Make thousands of marriages and families stronger in the coming New Year through a special matching gift! You don’t have to go far to find a family in distress. Marriages on the brink of divorce. Children who need stability, discipline, and love. Baffled parents who need guidance. Tension, neglect, and strained relationships on every front. You can probably think of several families right now who could use the help and hope that the pages of Scripture provide. You want to reach them, and so does FamilyLife. FamilyLife has been given an extraordinary $3 million matching gift. This means that every dollar you give between now and the end of the year will DOUBLE in value- up to $3 million and reach even more families with biblical truth. Will you please give a year-end gift today to FamilyLife? You will be helping to reach the hundreds of thousands of marriages and families who are searching for answers that only God can give. 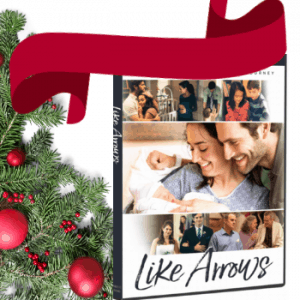 And with your gift of any amount this month, we will send you a DVD copy of FamilyLife’s first movie, Like Arrows. Don’t delay. Please give a generous year-end gift today to help FamilyLife reach more families than ever before through the special matching gift! You can give quickly and securely using the form below. Please send me the Like Arrows DVD!